The Murdoch’s failed attempt to get TEN seems so small and pointless now. any word on if this includes foxtel? 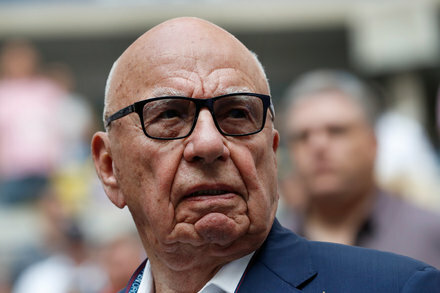 There was and still is speculation that after the Disney/21C Fox merger that Murdoch will merge the remainder new Fox with News Corp, which would include Foxtel if it happens. Fox Studios Sydney is owned by 21st Century Fox, but where will it end up? The 20th Century Fox lot in LA will stay with Fox. I’m interested to see what this sale means for Hulu, with Disney now owning a 60% stake in Hulu but looking to launch their own SVOD service over the top… would it make sense to invest more heavily in hulu itself given its already an established player. Or take Hulu over as well? At the end it looks like only main Fox Sports US (which included FS1 FS2) and Australia will be under common ownership. The rest is going to Disney including the Fox Sports Regionals and Fox Sports International which will likely be rebranded to ESPN. Fox News US will remain under News. It’ll take a while to get used to seeing that, instead of “News Corporation”. Also, 20th Century Fox’s theatrical distribution division will have to be shut down globally, seeing many staff losses, including in Sydney (unless they can join Disney in South Yarra, Melbourne somehow). As all 20C Fox films will be distributed by Walt Disney Studios Motion Pictures (formerly Buena Vista). Just until they obliterate any reference to Fox. In Asia, Disney and News Corp had a 50-50 joint venture in ESPN Star Sports from 1994, before News Corp bought out Disney’s share in 2012 and renamed the sports network as Fox Sports Asia. Now under the 21st Century Fox umbrella, Fox Sports Asia will now go to Disney along with the rest of Fox owned channels in the region. FOX Television Stations Group: one of the nation’s largest owned-and-operated network broadcast groups, comprising 28 stations in 17 markets and covering over 37% of U.S. television homes. This includes a presence in nine out of the 10 largest metro areas in the U.S. including seven duopolies in the top 10 markets: New York, Los Angeles, Chicago, Dallas, San Francisco, Washington, D.C. and Houston; as well as duopolies in Phoenix, Minneapolis, Orlando and Charlotte. 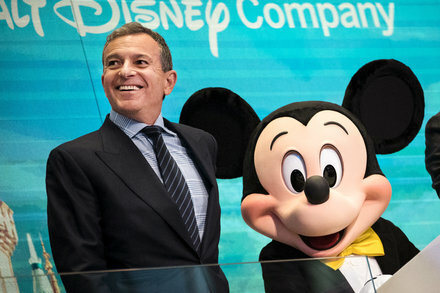 The Walt Disney Company (NYSE: DIS) and Twenty-First Century Fox, Inc. (“21st Century Fox” —NASDAQ: FOXA, FOX) today announced that they have entered into a definitive agreement for Disney to acquire 21st Century Fox, including the Twentieth Century Fox Film and Television studios, along with cable and international TV businesses, for approximately $52.4 billion in stock (subject to adjustment). Building on Disney’s commitment to deliver the highest quality branded entertainment, the acquisition of these complementary assets would allow Disney to create more appealing content, build more direct relationships with consumers around the world and deliver a more compelling entertainment experience to consumers wherever and however they choose. Immediately prior to the acquisition, 21st Century Fox will separate the Fox Broadcasting network and stations, Fox News Channel, Fox Business Network, FS1, FS2 and Big Ten Network into a newly listed company that will be spun off to its shareholders. The acquisition of most of Rupert Murdoch’s entertainment empire makes Disney a true competitor to services like Netflix and Amazon. As he prepares to sell off much of 21st Century Fox, the 86-year-old magnate is testing the ties that bind the family-run fief. Here's a look at Walt Disney Co. deals through the years. Also, I take it with Australia’s Foxtel, as it’s co-owned by 21st Century Fox (under News Corp Australia) & Telstra, this is unaffected? Also Fox Sports Australia which is wholly owned by 21C Fox (via News Corp Aus)? As they’re technically part of 21C Fox’s ‘news’ interests, which Disney aren’t getting? The most odd possiblity in all this is James Murdoch joining Disney. Iger said about James “We’ll continue to discuss whether there is a role here”. For the sake of the Walt Disney Company the answer should be No. James Murdoch is better off staying at new Fox or News where dad can shield him when he stuffs up. The most odd possiblity in all this is James Murdoch joining Disney. With the Murdoch family becoming the second biggest shareholder in Disney under the deal, there should be a role for James Murdoch in Disney on top of a seat on the company’s board, otherwise Disney would have paid cash outright to buy 21st Century Fox. I’m wondering what this means in Australia? I wonder if Seven will be asked/required to re-negotiate? Given the much more extensive TV and film library now available (i.e.) Fox. Or if they’ll consult with other/new network (Nine or Ten)? How long have Seven had Disney rights? 1990s? Also what does it mean for merchandise? On another note, is means Disney can now use the Fox film labels, to release more adult targeted / dramas / thrillers films. While keeping the Walt Disney labels true to children / family. But it also means Disney have ultimate control on which studio will get which film to release, when they gain rights. Some films probably having bias to Walt Disney labels, even though they may be suited to Fox. Now that I think about it, maybe Fox not renewing their content deal with Ten was incredibly telling and wasn’t entirely a slight at new management. Also, Fox has the home entertainment distribution rights to MGM movies until 2020. I worked it out once, when all my Fox and MGM DVDs had the same layout/design/font. All MGM DVDs would unequivocally have to come under Walt Disney Studios Home Entertainment as well I’d say. There would still be Fox and MGM logos somewhere on the cases though. The Simpsons has done it again!